With the rising popularity of the Internet, scams and hoaxes have earned themselves place on various websites and e-mails. And with a popular social networking site such as Facebook, which reaches out to billions of people, it is not uncommon to find theses hoaxes and scams doing the rounds on this site as they go viral on the click of a “like” button or sharing of posts. Whenever a story appears on Facebook asking you to click on the “Like” button avoid doing it because they are just means to increase traffic on their pages which results in an increased revenue for the number of ‘likes’ they receive on their page. The apps which lets you into believing to show the number of people viewing your profile are hoaxes and clicking on such links may lead you to malicious apps or websites. Facebook doesn’t let anyone to know their profile visitors and has also not granted access to third party apps for this purpose. “Add a dislike button” or “Change the color of Facebook” are reportedly scams which promises of adding extra features on Facebook. 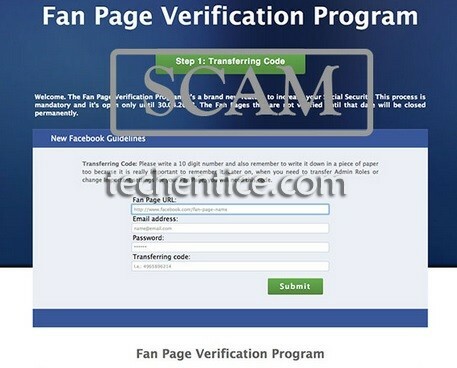 Clicking on them may lead to hijacking of your Facebook account and create spams. Any addition of feature will be notified by Facebook and no third party has been given such privilege. There are posts containing images of sick people and asking you to share it which claims would be contributing a certain amount of money per share for treatment. But most of them are found to be false and are meant only for increase in traffic. Sometimes videos are presented with an attractive headline which may lure you into clicking it. But when you click it, you will be redirected into a page asking to click “accept” to view the video. Once you do, all your friends will be spammed with the same video. So, try avoiding clicking whenever such a video appears.